Brace yourselves: Fall is coming. While you savor every last barbecue and beach day, it never hurts to do a little planning ahead of time—and that's where Madewell comes in. The cult retailer just released its new fall lookbook, and it's chock-full of outfit ideas I can't wait to wear once September rolls around. One look offered the perfect way to style an autumnal striped sweater: with high-rise jeans, sparkly flats, and a timeless coat. Another outfit was the perfect fresh alternative to your basic blue jeans: windowpane-print jeans with a cropped flare. 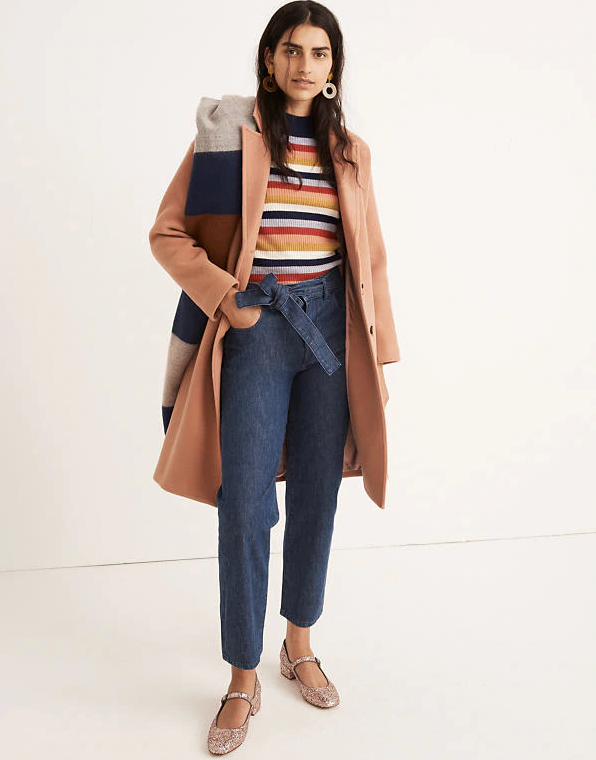 Scroll down to see my favorite outfits from Madewell's new fall lookbook and shop the pieces.